Filling Mix: (Sugar, Modified Food Starch, Baker's Cheese [Skim Milk, Lactic Acid, Culture, BHA (Preservative)], Dextrose, Corn Syrup Solids, Hydrogenated Coconut Oil, Contains Less Than 2% of Palm Kernel Oil, Sodium Caseinate, Calcium Sulfate, Tetrasodium Diphosphate, Disodium Phosphate, Lactic Acid, Calcium Lactate, Dipotassium Acid Phosphate, Salt, Mono- And Diglycerides, Propylene Glycol Monostearate, Acetylated Monoglycerides, Modified Cellulose, Calcium Phosphate, Natural And Artificial Flavor, Hydroxylated Soy Lecithin, Cellulose Gel, Cellulose Gum, Yellow 5, Yellow 6). 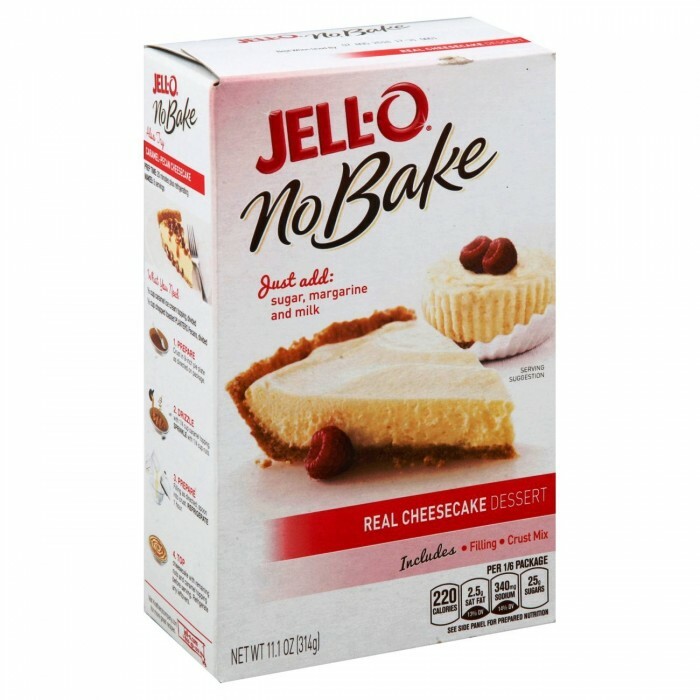 Crust Mix: (Enriched Wheat Flour [Wheat Flour, Niacin, Reduced Iron, Thiamin Mononitrate (Vitamin B1), Riboflavin (Vitamin B2), Folic Acid], Graham Flour, Sugar, Soybean Oil, Honey, Contains Less Than 2% of Salt, Baking Soda, Calcium Phosphate, Artificial Flavor). Betty Crocker Devil’s Food cake mix 432g/ 15ozBring a weeknight wow to your dinner table with Betty..
Betty Crocker Angel Food cake mix 453g/ 16ozBring a weeknight wow to your dinner table with Betty C..
Betty Crocker Fudge Brownie mix 519g/ 18,03oz..
Aunt Jemima pancake mix original 907g / 32ozAunt Jemima original pankake & waffle mix - you fav..